Gedion is ten years old, he was born 6/4/2008. 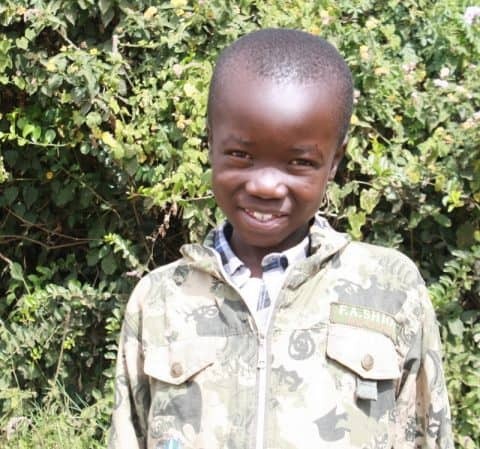 He is in fourth grade at Ndurarua primary school. 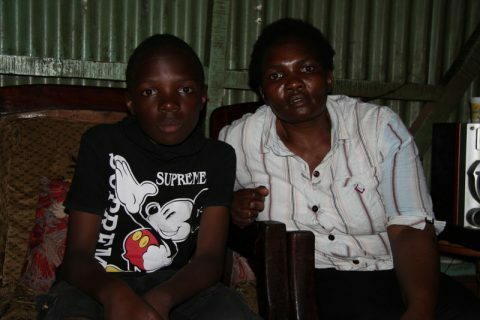 They are five children in the family but one lives with and aunt upcountry as a means of easing the mother’s burden of providing for all of them in Nairobi with the tough economic challenges. Their first born sister has a two months baby and they all live in a two roomed house made of iron sheet. The floor is cemented chipped thus very rough. Gedion shares a bed with his youngest brother. They buy water from a borewhole water vendor near their house for household used and the landlord provide 100 liters of water per week for drinking and cooking. They have one toilet and bathroom which is shared with four other houses of mostly the same size as theirs. Since there is no running water they have to store the dirty water after washing dishes and laundry to use on the toilet. They use a kerosene stove to cook their meals. They have a small old television set which they use to watch news and entertainment. His mother does casual jobs, she does laundry for middle class earners. Sometime sells vegetables by the road side to make an extra coin. 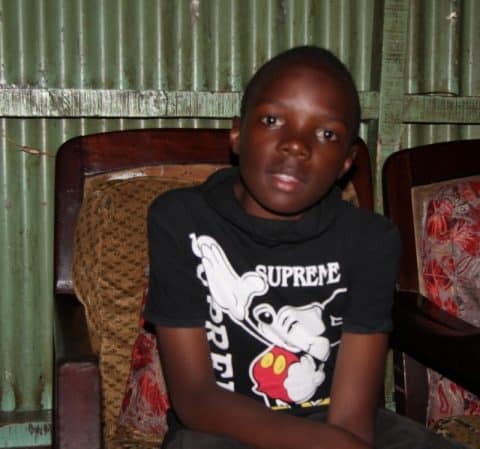 His mother is HIV/AIDS positive and taking ARV's thus looking healthy. Gedion is lucky to be negatively tested. His favorite sport is soccer while Gor Mahia is his favorite local soccer team. His favorite subject is Christian Religious Education (CRE) and in his recent exam he scored 402 marks out of a possible 500 marks. When he joins the program Gedion will enroll to Jagiet academy.